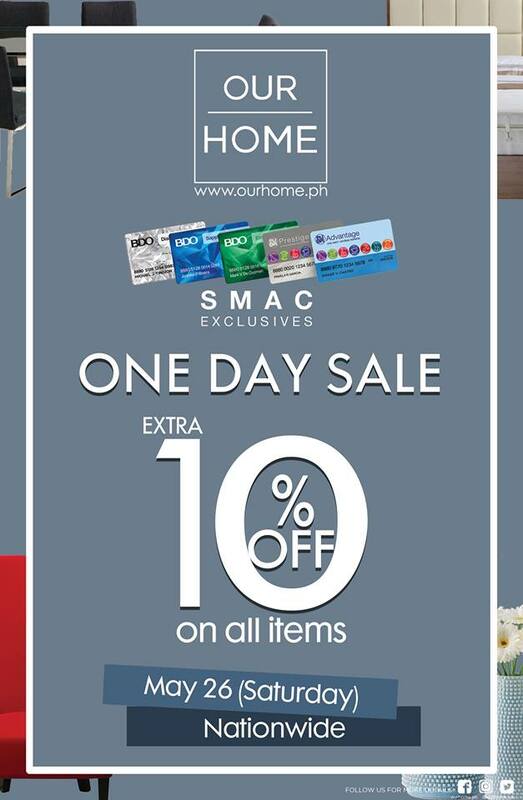 With #SM@60 celebration, Our Home is inviting everyone to check out their #AweSM Weekend Sale happening until May 27, 2018. Enjoy up to 50% OFF selected items! SM Advantage, SM Prestige, and BDO Rewards cardholders get extra 10% OFF on ALL ITEMS on May 26, 2018! 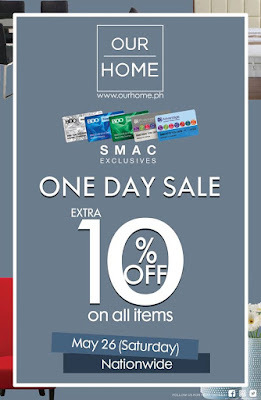 And, on May 27th, Check out Our Home SM Megamall One-Day Flash SALE! 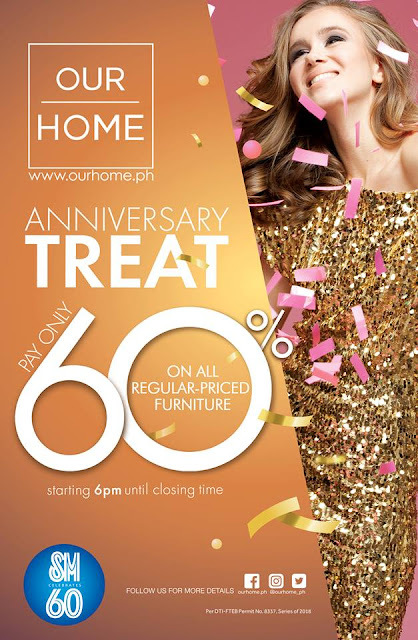 PAY ONLY 60% on ALL regular-priced furniture from 6pm til closing.